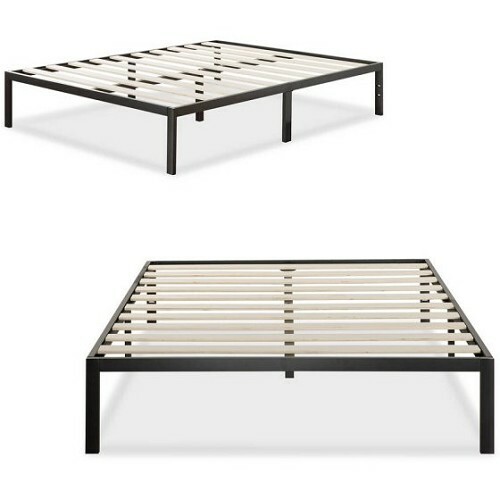 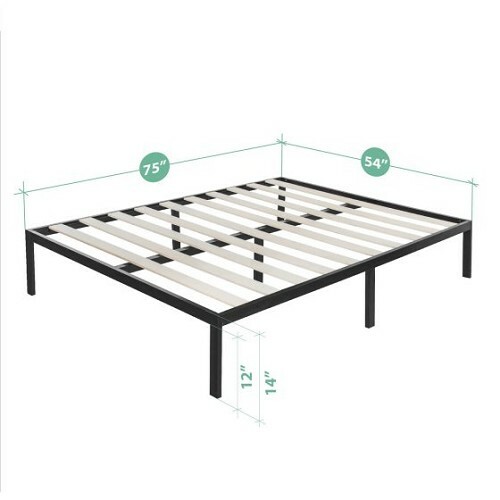 This steel framed Modern Studio Metal Platform Bed 1000 by Zinus, features wooden slats that provide strong support for your memory foam, latex or spring mattress! 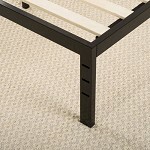 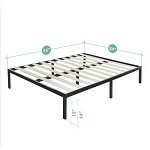 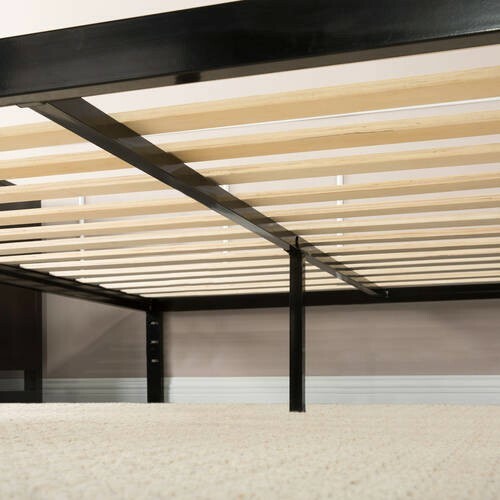 This Platform Bed is 14 inches high with clearance under the frame for valuable under bed storage. 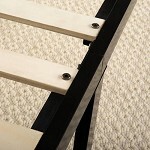 Openings in two of the legs allow for attaching a headboard to this platform bed. 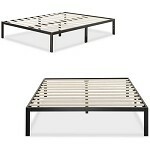 Headboard and mattress not included!